Five blog posts in one week?! Who am I? It has been FOR.EV.ER since I've had a full week of blog posts. Hope y'all have enjoyed! 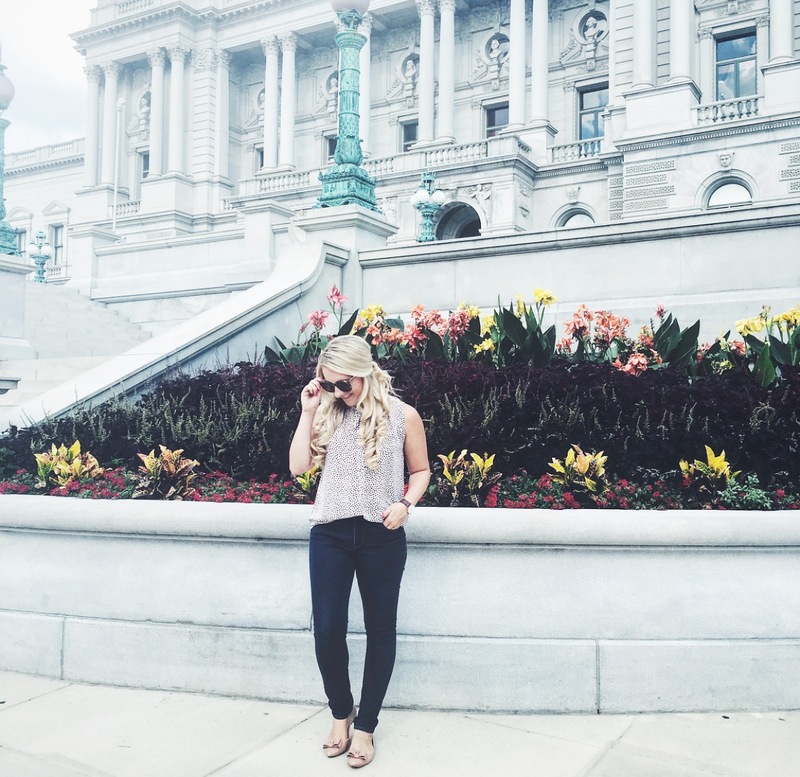 Now that summer is winding down, it's back to the blogging grind for the fall. Fall blog content is just so much more fun and enjoyable to put together. Maybe it has something to do with it being my favorite season, ha! But, I promise not to forget that we still have several weeks left of summer. You'll start seeing a few fall posts here and there, but once mid-September hits we'll be all fall y'all! This week is actually a short one for me. I'm currently down in Nashville visiting with friends and family. I decided I needed a last minute getaway to end the summer on a high note, and come back to DC refreshed and ready to tackle the fall. I'm originally from Tennessee, but it has been awhile since I've had the time to play tourist in my own home state. So, I'm hitting up all the major hot spots in Nashville with my sorority little sister, Randi. Follow all the fun over on Snapchat (Kroyster815) and Instagram! Lowlight: the lowlight came at the beginning of the week. It was seriously non-stop. I had been putting a lot off when it came to my to-do list, but I hustled to get it all done before I skipped town yesterday. Hightlight: the highlight is definitely my trip to Nashville! I get to see so many friends that I haven't seen in months (some, even years!) and visit with my family!! I also FINALLY get the chance to stop by the Draper James store. It has been at the very top of my bucket list for this year. Pretty sure I'm going to spend hours in this place today! Speaking of Draper James, they just released their tailgate collections. The best news? They have one for us Tennessee Volunteers!!! Checkout their Orange and White gear! I must have this Orange and White Go Y'all Clutch for games!! Like I said, summer isn't over just yet. And this recipe for Frozen rosé has me wishing it would never end. This looks so easy and simple to make! I don't really want to spend money on new summer clothes, since the cooler temps are on the horizon. But, this romper may have me thinking twice. A Texas teacher recently introduced a "no homework policy." Kids can leave their work at the door. What are y'all's thoughts? It has sparked a huge debate, but either way... if I was still in school, I'd 100% be pro no homework, ha! I know fall is still several weeks away, but it's never too early to start ordering decor. I'm obsessed with these plaid "blanket scarf-esk" napkins. One of my favorite foods is brussels sprouts. Obsessed is an understatement. Just ask my friends. So when I stumbled upon this post featuring TEN new recipes to try with brussels sprouts, I couldn't pin it fast enough! A simple and classic white tank! Perfect to wear under those fall cardigans and blazers! The perfect fall transition nail color! A mix between that summer pink and fall red. How amazing are these open toed booties?! Perfect for early fall when the temps aren't too cool yet. Next week I'll be sharing a fun collab with Stewart Simmons, and will be featuring TWO Tennessee Game Day looks on the blog. Go ahead and checkout their site that features the perfect pieces for many SEC schools. THAT TOPSHOP ROMPER is to DIE. And those boots - love it all! Isn't it?! Seriously need it, and those boots too! !